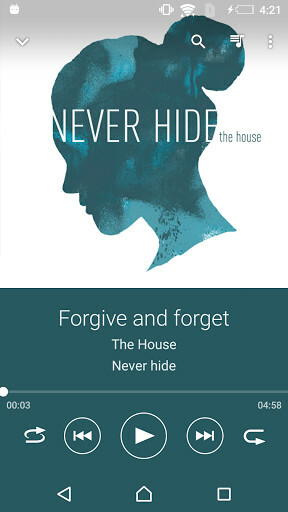 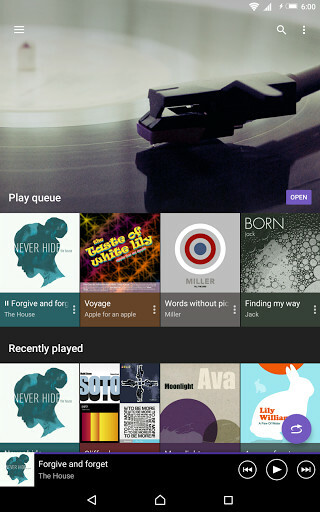 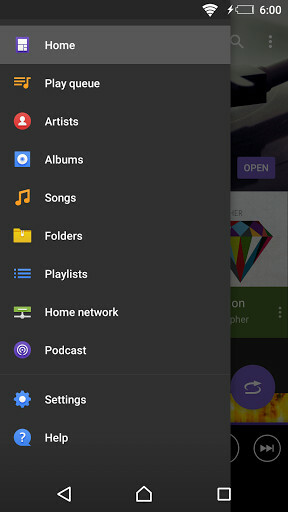 If you are a Sony device user and you would like to be able to listen to and manage all of your music in a much simpler and faster way, now you have an app especially designed for you: Music. 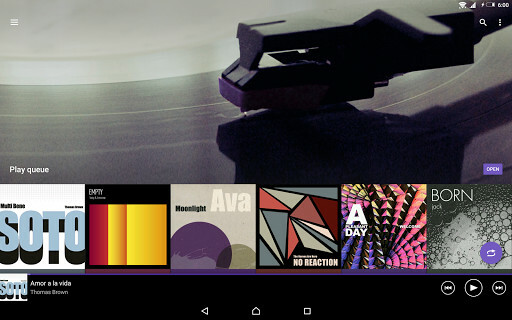 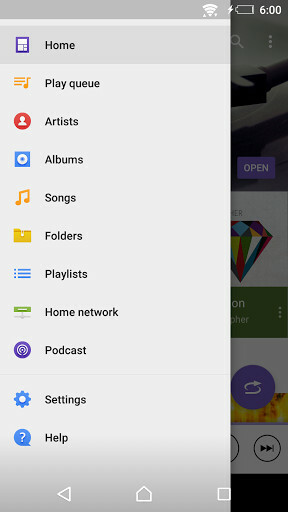 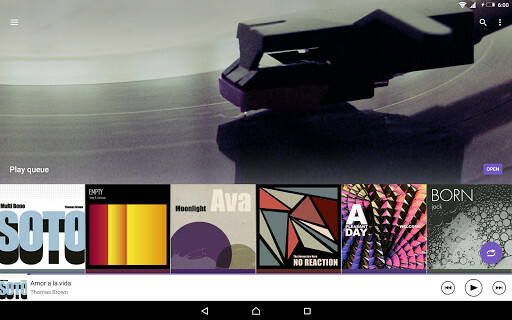 In Music, you will be able to create all of the play lists you want to, at the same time as having several different customization options when it comes to listening to your favourite music. 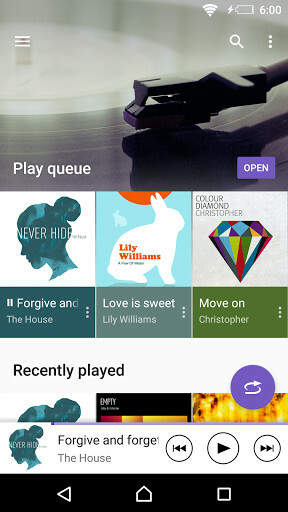 On the other hand, you will only have output with the headphones, so you won't be able to use the app like any other player. 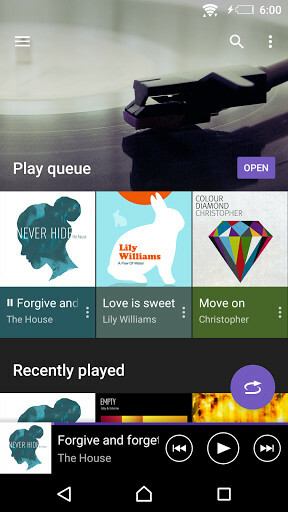 In Music, you will also be able to save your favourite songs and if you have an Android Wear, you can listen to all of the music you like so much without having to touch the mobile. 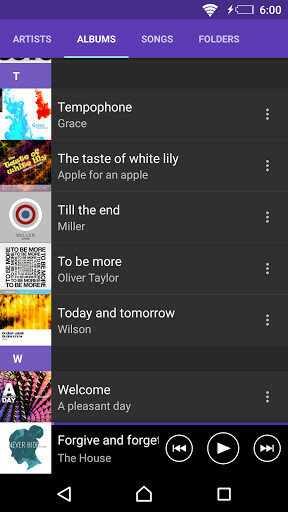 Apart from this, we can tell you that in Music you are going to have good quality audio and the options you have in all of the music players for your mobile. 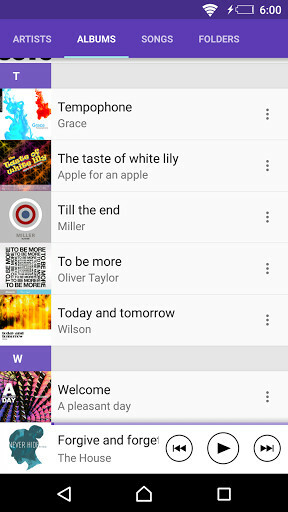 Even though Music is a good app for listening to music with, there is no doubt that there are still many improvements pending so it will be the appropriate app for its users and clients.